Win a Family Staycation Every Day! To celebrate Januberry, Keelings are offering you the chance to win a family staycation every day this January. 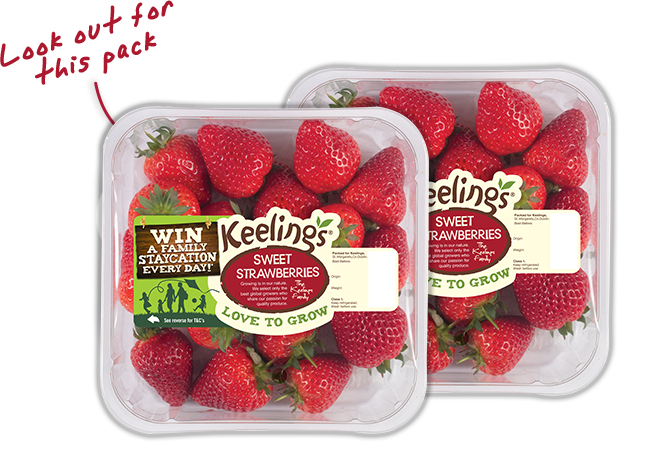 All you have to do is describe Keelings berries in 3 words and enter the 6-digit code under the promotional label of your punnet of Keelings berries and you will be included in the next draw. All entries will also receive an exclusive Keelings discount code for Trident Holiday Homes as an extra thank you for buying our berries. To get a promotional code you must purchase a punnet of Keelings promotional berries. Click Here to view the list of Trident Holiday homes available and find out more about the Trident Discount. Best of luck from all at Keelings!